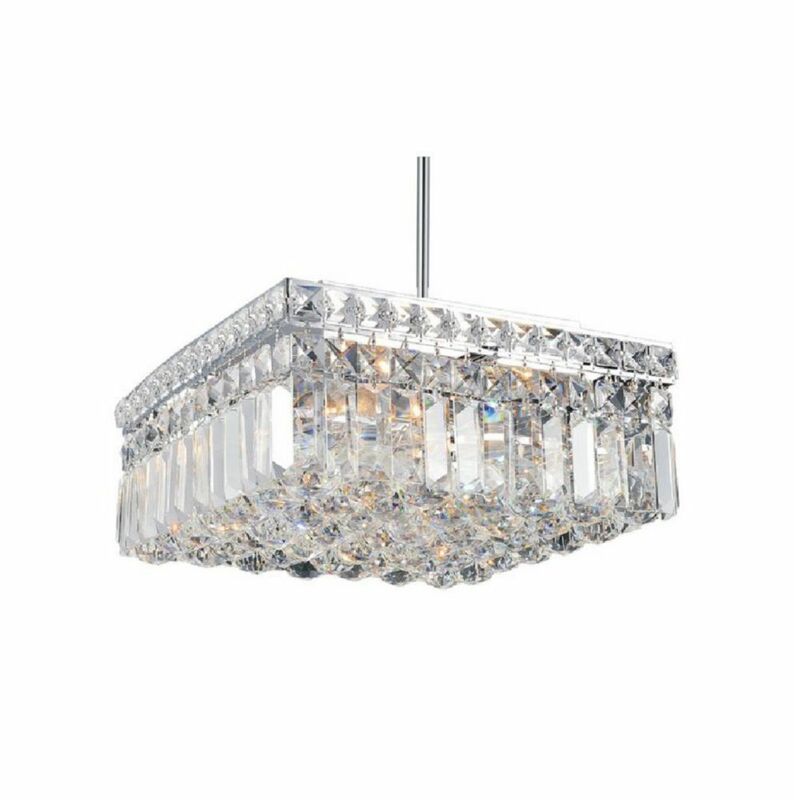 This breathtaking 4 Light Chandelier with Chrome Finish is a beautiful piece from our Colosseum Collection. With its sophisticated beauty and stunning details, it is sure to add the perfect touch to your dicor. Inner glass votives are frosted glass and rectangular. Pair with contemporary to transitional furnishings for an elegant style. Outer glass shade measures 4 1/2 inches wide by 4 inches high. Halogen bulb(s) included with hardware and installation instructions. This breathtaking 4 Light Chandelier with Chrome Finish is a beautiful piece from our Azalea Collection. With its sophisticated beauty and stunning details, it is sure to add the perfect touch to your dicor. This breathtaking 12 Light Chandelier with Dark Bronze Finish is a beautiful piece from our Shakira Collection. With its sophisticated beauty and stunning details, it is sure to add the perfect touch to your dicor. Colosseum 12 inch 4 Light Chandelier with Chrome Finish This breathtaking 4 Light Chandelier with Chrome Finish is a beautiful piece from our Colosseum Collection. With its sophisticated beauty and stunning details, it is sure to add the perfect touch to your dicor.